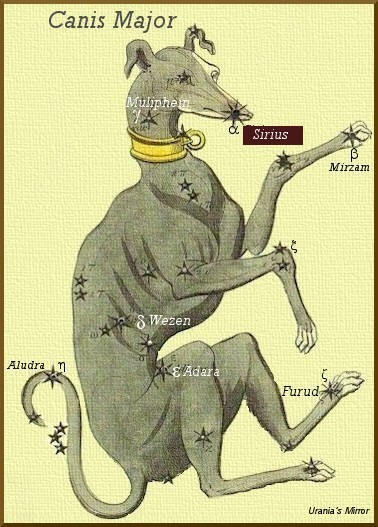 The Mysterious Connection Between Sirius and Human History From the dawn of civilization to modern times, from remote tribes of Africa to the great capitals of the modern world, Sirius was – and still is – seen as a life-giver. Despite the disparity between cultures and epochs, the same mysterious attributes are given to the dog star, which can lead us to ask: how can all theses definitions synchronize so perfectly? Is there a common source to these myths about Sirius? The dog star is invariably associated with divinity and is regarded as a source of knowledge and power. 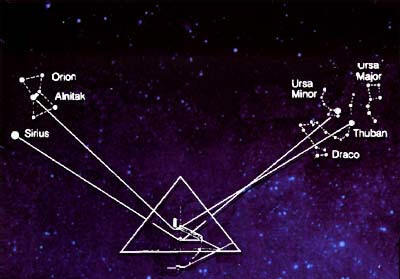 These connections are particularly evident when one examines the teachings and the symbolism of secret societies, who have always taught about a mystical link with this particular celestial body. Is there a secret link between human evolution and Sirius? Unlocking this secret would mean unlocking one of humanity’s greatest mysteries. "Lucifer was someone, a person; he was embodied. He came to Earth with that original Sirian crowd. He didn't really want to participate in their genetic experiment because he felt that that crowd was trying to get the people on the planet to be beholden to them in some way. They would look after them only as long as the people would treat them with a degree of reverence. Lucifer didn't like that. His way was to give the people tools. Nobody on the ship from Sirius under­stood that those beings they were attempting to save were fully realized. .... Lucifer thought he would break away from the rest of them and give these people tools. He was slightly mistaken, since he did not know that these people were beyond the need for any tools. So recognize the source of Lucifer. I will not dispute you when you suggest that Lucifer is confused with the energy of so-called Satan. The energy of Satan and the devil, which is ascribed to the idea of evil, is simply a result of the construct that had to take place here on Earth so that you would have motivation to get past that. In other words, it is the idea of "evil" that is the heart of conflict. (A little joke.) Recognize that it is the heart, albeit the black heart, of conflict. Mystery religions, sacred Mysteries or simply mysteries, were religious cults of theGreco-Roman world, participation in which was reserved to initiates.